Attached is the Technical Kagi Trace of Development Bank of Singapore (DBS) that is listed in Singapore. 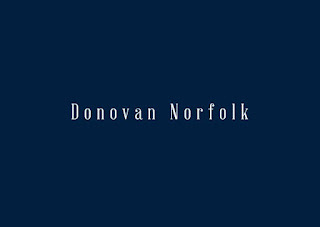 It is the Donovan Norfolk Top Rated Stock of Singapore. The 2 Dark Green Circled Regions are the Donovan Norfolk Live Warnings during Nov-Dec 2018 and Jan 2019 to buy the golden dip. 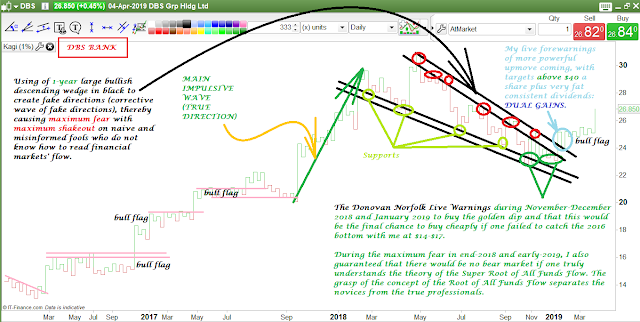 During end-2018 and early 2019, I had forewarned that this would be the final chance to buy cheaply if one had failed to catch the 2016 bottom with me at $14.00-$17.00. During the maximum fear in end-2018 and early-2019, I had also guaranteed that there would be no bear market based on the Super Root of All Funds Flow. The grasp of the concept of the Root of All Funds Flow separates the novices from the professionals. The price structure in black is the using of 1-year large bullish descending wedge to create fake directions (corrective wave of fake directions), thereby causing infliction of maximum fear with maximum shakeout on naive and misinformed herd -- people who do not know how to truly read financial markets' flow. 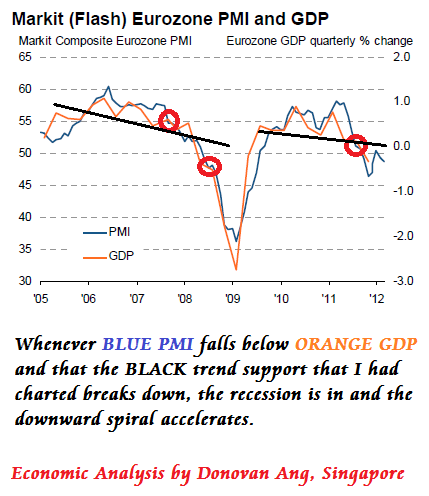 By now, majority of the market had been bearishly smoked out on the wrong directions. The true direction is for large wave up. For DBS, this has now been jump-started by the breakout in light blue circled region. The light blue circled region is also where my recent fore-warnings pinpointed more powerful upwaves coming, not only just for DBS but for many bank stocks worldwide as well. DBS target price is easily beyond $40 a share -- plus very fat consistent dividends -- DUAL GAINS. In my financial modelling, DBS Bank will ascend to become one of the top few banks in the world.